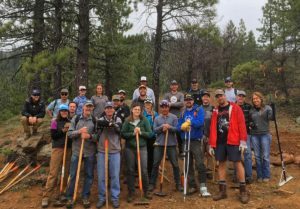 Sierra Buttes Trail Stewardship (SBTS) has applied for two Ground Operations grants this year and need your comments to CA-OHV on both so we can receive the grants and continue providing #dirtmagic to the public! 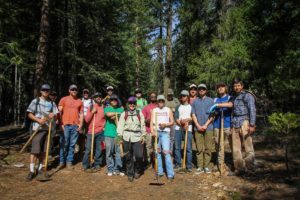 Below are instructions in an easy, step-by-step process and the link to submit your comments in support of SBTS receiving these grants. 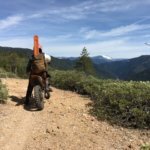 As far as what to say, you can be brief or you can pontificate, but the crux is to communicate how important the Downieville and Quincy trails are to you and how important it is to keep these trails open for the public to use. 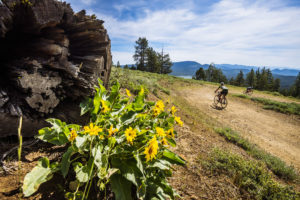 Also mention the economic importance of the trails, for they provide critically positive economic impact in two struggling California counties. 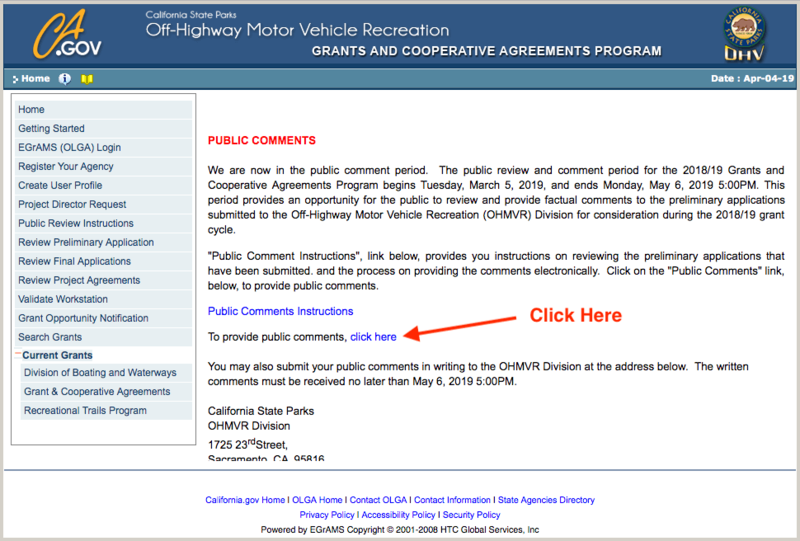 The comment period closes May 6, so please provide comments before then, and spread the word! 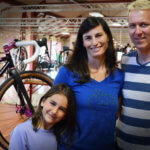 The more positive comments we receive, the better. 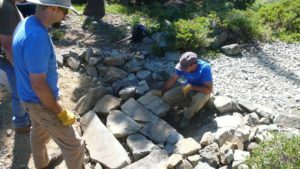 The Sierra Buttes Trail Stewardship for Downieville Trail System grant will provide funds to maintain more than 60 miles of singletrack in the Downieville area of Tahoe National Forest, including Pauley Creek, Butcher Ranch, First, Second and Third Divide, Lavezzola, Chimney Rock, Empire Creek, Downie River Trail, Halls Ranch and Fiddle Creek trails. 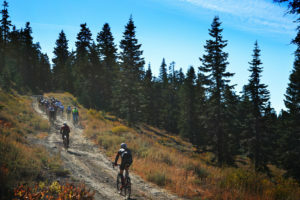 The Plumas County Ground Operations grant will provide funds to maintain 60 miles of trail in the Mount Hough Ranger District of Plumas National Forest, and in the Beckwourth Ranger District, maintenance of 6.4 miles of Nelson Creek Trail, the beginning of an exciting project that will eventually connect Downieville to Quincy via singletrack. 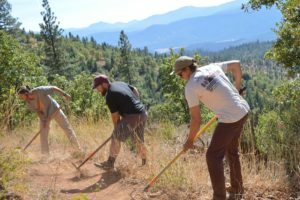 This grant will also allow maintenance on 3.2 miles of Mount Fillmore trail in the Feather River Ranger District, a super remote, beautiful and rugged trail between Downieville and La Porte. 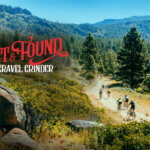 For Mt. 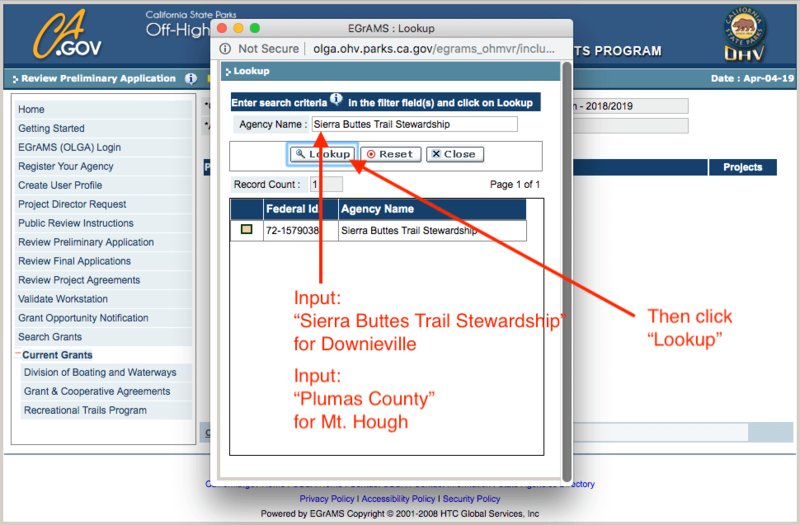 Hough: type in Agency: “Plumas County” and click “lookup”. 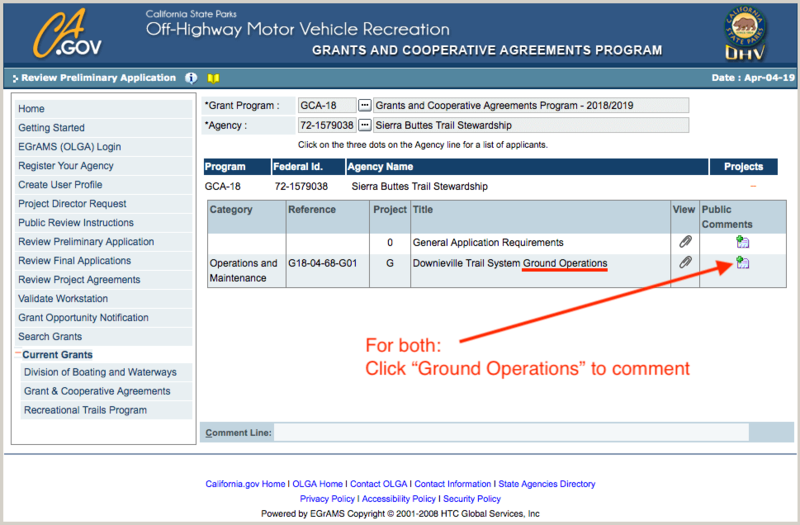 Check the box next to “Plumas County”, the first search result – do not select Plumas County Public Works or Plumas County Sheriff’s Office. 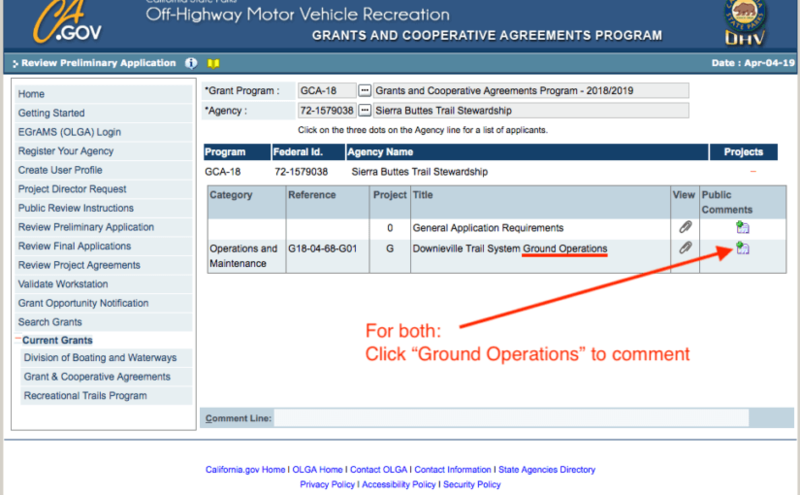 We need comments for both. 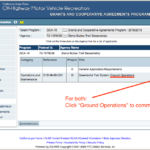 To the right of “Ground Operations” – click on “Public Comments” and enter your name and email address (required), then enter your comment and submit.